MINNEAPOLIS, Minnesota. You purchase car insurance. You purchase health insurance. You pay your premiums on time. Yet, after a car crash, pedestrian accident, or bike accident, many Americans find themselves facing “surprise” medical bills. The New York Times reports that in many states, balance billing is legal. What is balance billing? Balance billing is the difference between what an insurer is willing to pay and what hospitals charge. If you were taken to an out-of-network emergency room, you could find yourself facing surprise medical bills. According to Vox, as many as one in five patients face surprise medical bills and in some cases, these bills can be as high as tens of thousands of dollars or even more than six-figure bills. If you’ve received a surprise medical bill after a car accident, what can you do? Many experts and lawyers agree that there are steps patients can take. According to the New York Times, more patients are hiring lawyers to fight balance billing charges. The Times reports that under contract law, if there is no mutual agreement regarding the charges a patient might be assessed, then hospitals must charge a fair market value for their services. Patients may be able to offer to pay the fair market value or fight the balance billing charges in court. A qualified personal injury lawyer may be able to help you fight these bills in or outside of court. If you are facing unexpected medical bills after a car accident in Minneapolis, Minnesota, reach out to the Law Office of Martin T. Montilino today. Another way to cover these additional charges is by seeking a settlement with your car insurance adjuster. Car insurance policies should cover bodily injury up to the policy’s limits. If another person was responsible for your crash, their insurance may be responsible for paying for your damages up to policy limits. If the other party’s insurance doesn’t cover your bills, you may be able to pursue a lawsuit in court seeking additional damages. 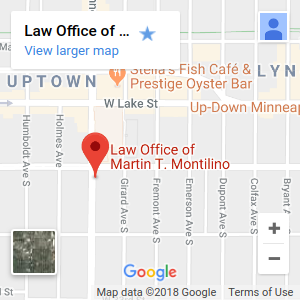 The Law Office of Martin T. Montilino are car accident attorneys in Minneapolis, Minnesota who can review the details of your accident, speak to insurance adjusters, and fight to help you get the settlement you may deserve under the law. While some states have protections for patients against balance billing, many states do not. Laws against balance billing have been proposed at the Senate, but they are unlikely to pass any time soon. Until laws are strengthened, patients can either appeal to their insurance company to cover more of the bill or fight the bills directly with the hospitals. In some cases, they can take the bills to court. The aftermath of a car accident can be a stressful time. You and your family may be struggling to recover following serious injuries. Hospital bills only complicate these matters. However, the Law Office of Martin T. Montilino may be able to help you. Will a Drunk Driver Be Automatically Considered Negligent After a Crash? If you have been injured in an accident due to negligence and are seeking services from an experienced personal injury attorney in Minneapolis MN, you’ve come to the right place. Our law firm has been successfully assisting injured clients for nearly two decades. Our negligence cases include automobile accidents, dog bites, slip and fall, and other injury situations.